Have a great picture of Laverne? Add it to the photo gallery. 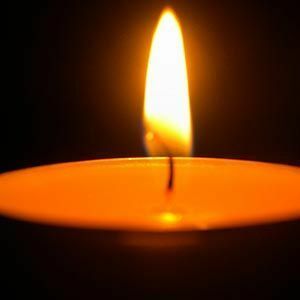 "Thinking of you and your family- Jan (Schlemmer) and Gene Morabito"
"My deepest sympathy to the family of Laverne as I had the good fortune of knowing the family for a number of years and feel blessed. She and Joe may be gone but never forgotten and there will always be a place in my heart for each of them. May they enjoy each other once again and I send all my love to them as well as there family"
"Laverne will be so missed by her family and friends. I just spoke with an old friend from the Florida days. We shared so many stories about all the fun Lee, Virg and Laverne had while down in Florida with their wonderful husbands. Someone once described it as Senior Spring Break and Summer Camp all rolled into one. I'm so glad I got to meet and spend time with Laverne, no one could make me laugh more! I'll never forget all the fun I had with her and the rest of the gang." "We are very sorry for your loss. Prayers to your family." "Our sincere condolences to the Licursi family in the loss of your dear love one. Our prayers are as yours, that God provide his care and comfort you each day.